Why so down? Okay, maybe you’re not, but if your website goes down, then you’ll have reason to be. 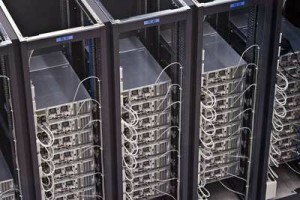 Site uptime matters—the less your server goes down, the better. Simply put, uptime is important, so tracking uptime is, too. In this post, I’ll briefly discuss why uptime matters. Then I’ll compare three monitoring solutions: Jetpack Monitor, our own uptime monitoring feature, and Pingdom. It’s common sense that you want your site to be online—that’s the entire point, after all. Web hosts make promises about site uptime that seem really great: 98% uptime, 99% uptime, 99.99% uptime. But those promises aren’t reason to ignore the issue. Let’s say that your host boasts about 99% uptime. Even if they’re telling the truth, that still leaves you with downtime totaling 3.65 days each year. Lost time means lost money (and less credibility) for you. That’s why making sure that you’re with a good host—and perhaps seeking a refund for downtime—is key. That’s where uptime monitoring comes in. By monitoring uptime, you’re also able to fix any issues ASAP. With that in mind, let’s look at three ways to monitor uptime on your WordPress site. Jetpack Monitor is a simple plugin. ManageWP offers a host of features for people who run multiple WordPress sites, and uptime monitoring is a part of that suite. Pingdom isn’t specific to WordPress, but it’s at the high end of both functionality and cost. You may well just want basic uptime monitoring and thus care only about how fast you can get it set up and move on with your day. Even if that’s not you, it’s true that none of us like having to hassle just to install a plugin. So how easy is it to set up these different options? Jetpack is essentially a plugin full of plugins—under its settings, you can see functions for site stats, social sharing, and much more. Since it comes with WordPress by default, Jetpack is already there. That means that you just have to activate Jetpack Monitor. In your WordPress dashboard’s sidebar, go to Jetpack > Settings. Scroll down to monitor, hit activate, and then click “Configure.” Once you double-check that the correct email is entered, you’re good to go. ManageWP is also super simple (assuming you already have an account). All that you need to do is head to “Uptime Monitoring” on your ManageWP sidebar and click on the site URL that you want to add. It’s that quick. Awhile back, Tom wrote a post explaining how to do this. ManageWP makes things easy—all it takes is one click to add a site to the list of sites that you want monitored. Pingdom provides the greatest number of features for the three options we’re surveying, so they require you to make a separate account on their website. This doesn’t take too long, but it will end up sucking more of your time than the other two setup options. When you’re trying to pick the best uptime monitoring solution for your needs, you should consider how often you want the plugin or service to check your site’s status. There’s no astronomical difference between the different options, but Pingdom provides more frequent checks if you need pinpoint accuracy. Jetpack Monitor checks every five minutes to see if your site is up. That’s pretty standard, and should work for most people. ManageWP’s site uptime feature will also check every five minutes. Pingdom is the outlier here. It lets you choose how often the service should check your site. You could set intervals as far apart as every 30 minutes, though that doesn’t seem useful. Most Pingdom users will probably stick to the shortest time span between checks: one minute. That’s more frequent than Jetpack or ManageWP. These plugins and services can monitor all day and all night, but it doesn’t matter if you don’t know the results of that monitoring. That’s where alerts come in. Since site downtime is a pressing issue, you’ll want instant notification when your site goes down, and when it goes back up. All three of the choices we’re looking at will alert you when the server is down, and all three will send you a second alert once the server returns. The only difference is how you receive those alerts. Jetpack Monitor has only one alert option: email. If you’re not too concerned about instant awareness of any downtime, or if you have email alerts on your phone, this is probably fine. Email alerts can also help you organize a virtual paper trail to chronicle downtime: just sort alert emails into a separate folder. For instance, in Gmail, you could create a filter that sends all downtime/uptime alerts to an “Uptime” label. ManageWP provides email notifications, too, but it also lets you get alerts through text message. Pingdom provides email and text alerts, like the other choices, but it adds one more option: a direct message on Twitter. When choosing the best uptime monitoring solution, consider how quickly you need to know about any downtime, and how the service could speedily contact you. Pingdom costs more than the other two options, but it also gives you a host of extra features. Jetpack Monitor and ManageWP don’t provide much beyond basic monitoring. Pingdom offers reports—complete with graphs to help you make sense of the data—about the tests it does on your site. You also get a few tools in the Pingdom control panel to help analyze why your site goes down when it does. And when the site is up, you can monitor performance data from your users. I’ve saved the gnarliest question for last. You’re of course wondering, How much is this going to cost me? The answer: probably not much. It depends on which service you choose. 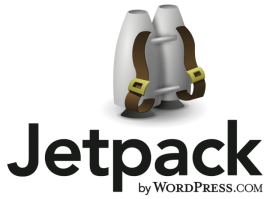 Jetpack is free—it comes pre-packaged with WordPress. Sure, Jetpack Monitor is bare-bones, but if you don’t need a bunch of fancy features, you can’t beat the price tag. Our uptime monitoring feature comes as part of the Business Plan, which costs $4.80 per site each month. That might seem crazy until you realize that uptime monitoring is only one (very small) part of everything that we offer. If you manage a number of different WordPress sites, ManageWP could prove to be a bargain. Pingdom can get expensive. The Starter plan is $9.59 per month—other plans are even pricier. For most readers, this will seem too steep, and it probably is. Pingdom provides a plethora of features that other uptime monitoring services don’t have, which drives the cost up. But the cost probably isn’t an issue if you really need the features it provides. Companies like Microsoft, Amazon, and Instagram use Pingdom. Most of us can’t afford it, and most of us don’t need it. I think that these three options are representative of the kinds of uptime monitoring services that exist. Jetpack Monitor is basic, our uptime monitoring system adds a few more features, and Pingdom goes all out. If you’re a casual user with one or two small blogs, then Jetpack Monitor will likely suit you fine. But if you manage more sites, you might need to try on some new options: ManageWP’s Uptime Monitoring is easy to use, lets you quickly add sites for tracking, and boasts a few more options that Jetpack. If you need to dig deep and analyze the myriad reasons behind your site’s uptime number—if it’s your job to maintain a big site—then Pingdom is your go-to. Many services and plugins can monitor your site’s uptime. I didn’t have the space to go over every single option, so I want to turn it over to you. Do you use any of the choices I talked about? Or do you have a different favorite? How do you monitor your site’s uptime? Join the discussion in the comments below! I’m using Pingdom – the free version. But since i’m using W3 Cache + Cloudflare – the speed is way higher and i did not have any down time…even when my host was performing maintenance. Thanks for some other ideas, anyways! Checks should be done every 1 minute as to allow you to get instant alert when your website hits an error. A 15 minute window would might have a gap on knowing the issue on too late. Check out http://www.pingmy.site as an alternative solution with unlimited SMS, Emails, Twitters, and Push notifications that all from just $0.99/mo with 1 minute check interval. I’ve found that the 1-minute interval causes too many alerts that usually get resolved before I can get to the computer. 5-minute is the perfect balance for me, that we also use for ManageWP. This is especially important if you have multiple websites, and don’t want to get an alert several times a day. Thanks for helping, i am facing too much downtime these days. Why have you chosen exactly these tools? What do you think of the software Anturis? I am eager to use it but I would like to hear some reviews of it. The Vigil app looks really good. Has anyone tried it? I use Jetpack and it works well for me. I’m going to check out pingdom to see what its like. Thanks and great post! I use https://www.statuscake.com/, because it is free and quite good. Very descriptive article. I use Jetpack’s monitor tool and found it very useful. It emails me at the moment my blog gets down. I have used Jetpack and UptimeRobot and both works fine. This is a good overview. It does leaves out the important question of HOW these tools check your site. Broadly, they either check for an http header or check for a keyword on the page. The former method has the disadvantage that the webserver your site is on can be fine, and responding properly, but your site is actually down to to a local application error (a PHP error for example). The latter is nice b/c you can define a keyword to look for on the site, and if it’s present then it assumes your website is up. FOr example, it could check for your organization’s phone number in the footer. However, those types of checks can affect your analytics and show repeated visits from the uptime checker server IPs. I use Pingdom and Monitis (free version). The free version of Monitis already brings a lot to the table, and thanks to the (Android) App notifications are pretty much instant. Also tried SensorPress, it works but it’s so sparse, it makes you wonder. I use http://uptimerobot.com/ personally, it’s pretty good, checked every 5 minutes. Nice list of items that can help monitor your site. I didn’t knew until now that Jetpack offer the uptime monitoring, good to know :). I will try to see how is working as I am not checking every they all the sites and is needed. Have a share of very good quality thank you. I’m using uptime robot for some time now. A real good tool for onine monitoring !